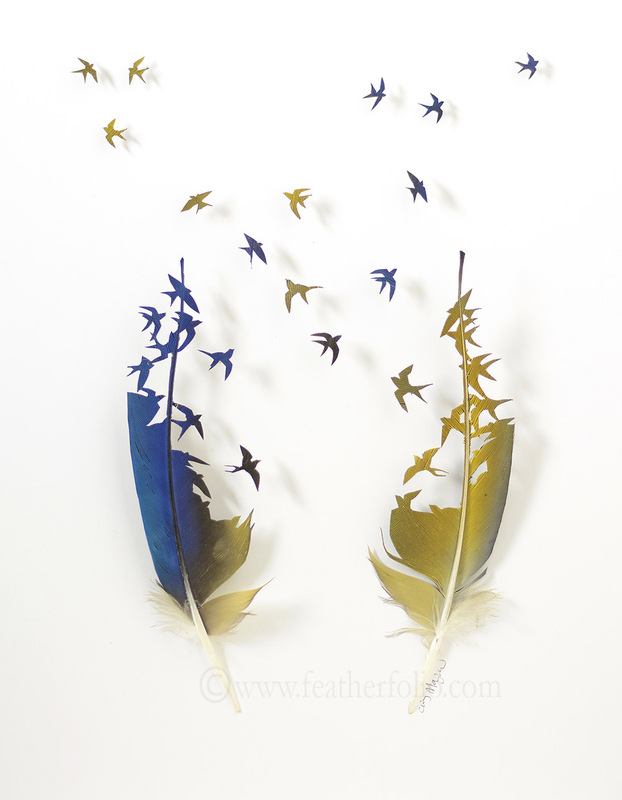 The intricacy and attention to detail displayed in Chris Maynard’s feather art is testament to an artist that has been using the unusual medium since he was 12 years old. With eye surgery scissors, forceps and magnifying glasses, Maynard produces some truly incredible scenes using only the feathers of birds. The images the Olympia, Washington-based artist creates usually depict the source of his medium – flocks of swans, displaying peacocks and a raffle of turkeys – from feathers donated by aviaries and zoos. 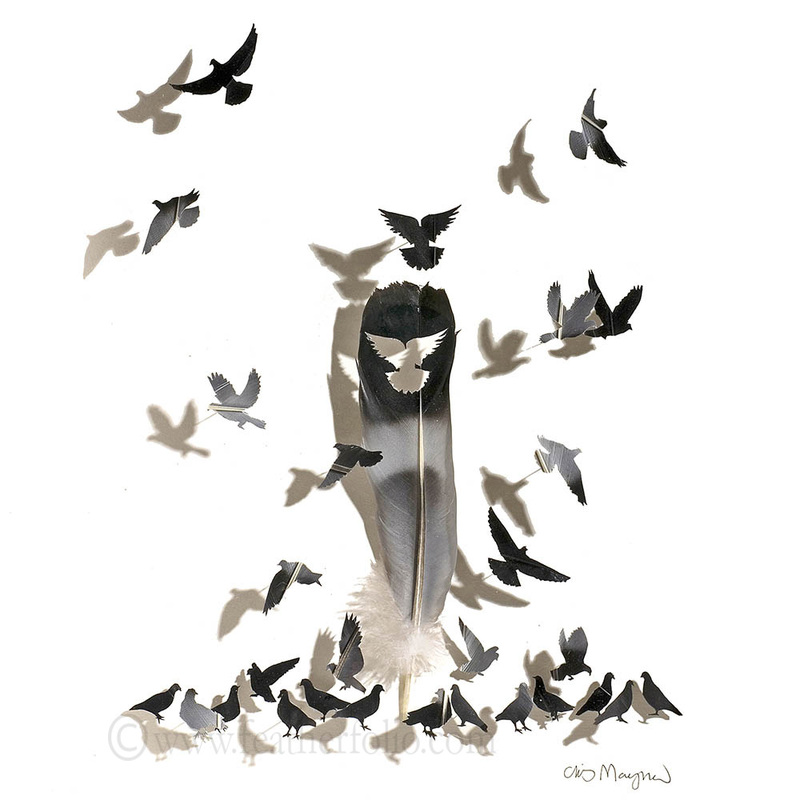 Maynard carefully cuts and positions the feathers to make shadow boxes of unique, intricate beauty and impressive precision. 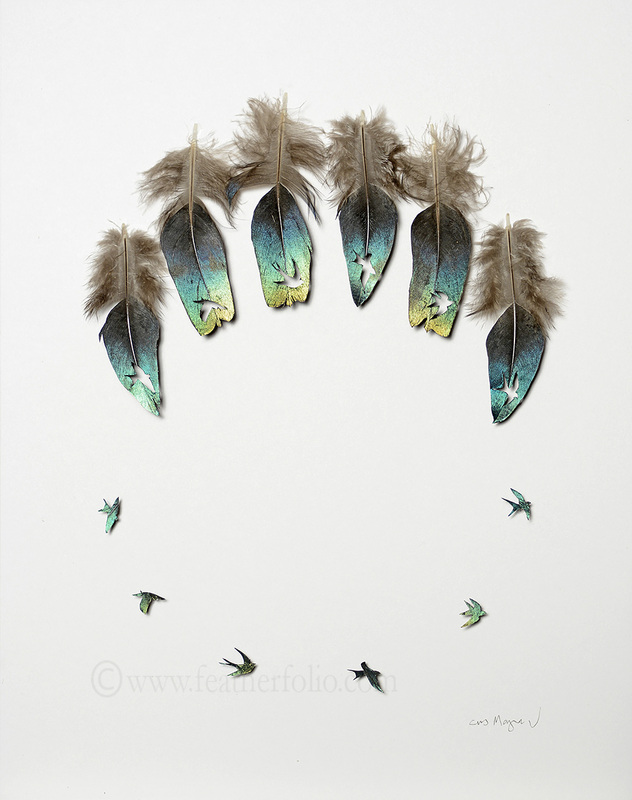 The artist sees feathers as the pinnacle of nature’s achievement, making flight possible while providing insulation and displaying wonderful colours and patterns. ‘What has kept me focused is having a mission statement at the outset,’ says Maynard, ‘everything revolves around that.’ The artist, who has a strong background in biology set his mission ‘For people to stop in their busy lives and be present to a bit of wonder of the natural world; to honour the natural world’ and attributes this to a focus which has helped him become successful in the art world with some of his pieces fetching up to £1,200. Maynard’s book Feathers, Form and Function presents his art alongside a scientific and cultural exploration of feathers and what they mean. Maynard is clearly someone who cares very much about what he is doing and is passionate about getting across his ideas.